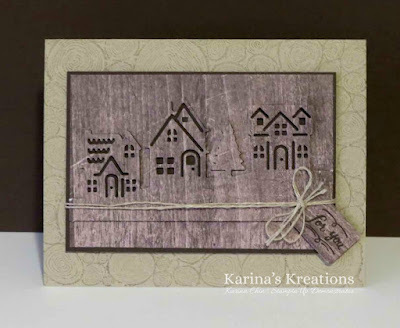 Karina's Kreations: Stampin'Up Hometown Greetings Edgelits Dies! 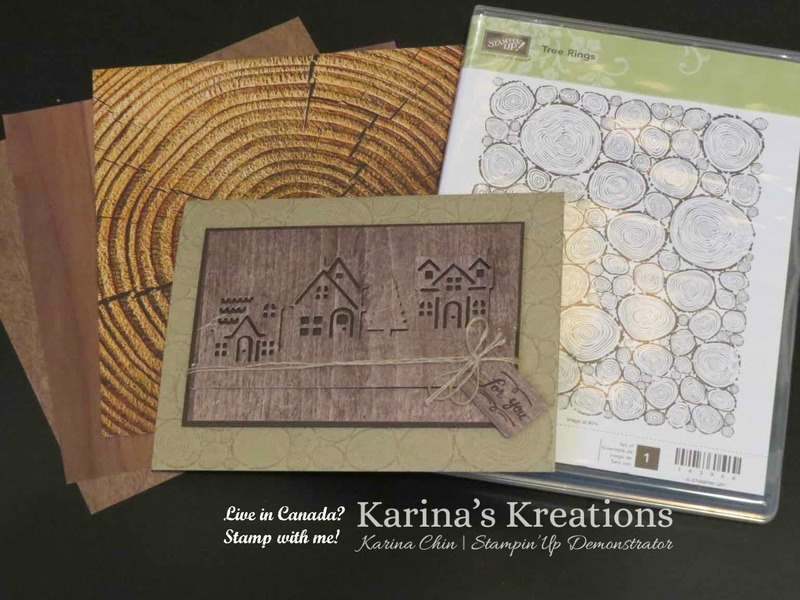 Stampin'Up Hometown Greetings Edgelits Dies! The Stampin'Up Hometown Greetings Edgelit Dies will be carrying over. If you want the coordinating stamp set make sure to order it before Jan 1. The bundle price savings is only good until Jan 1. We made this card at my class yesterday and will be making it on Dec 18 7:00-9:00. It was designed by Lorna Raczynski. I thought it would be a perfect masculine card or an all seasons card. You can buy the wood texture designer series paper pack or the Tree Ring stamp set to make this card.